CD will be promoted heavily through press and radio with over 300 stations and 250 reviewers. Both publicist and radio promoters will be acticely working it. 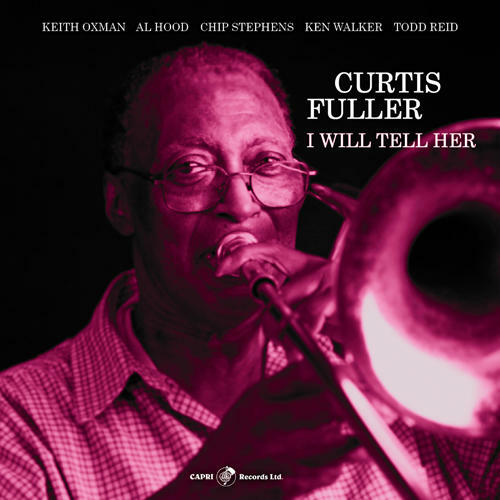 (2-CD set) Legendary jazz trombonist Curtis Fuller's newest recording; I Will Tell Her is a tribute to his wife of over 30 years. The sextet includes saxophonist Keith Oxman whom Fuller compares to the late great John Coltrane. Fuller has been working with this group for the last 5 years, which is evident in the tightness of their playing. This double CD features the sextet in both live and studio settings masterfully playing Fuller's original music. The title track, a beautiful ballad, has never been recorded before now. Tracks include: Time Off, Sagittarius, Maze, The Court, The Clan, Tenor Madness, I Want To Talk To You.